Mr Tayo Ogunbanjo, the Chief Executive Officer of Integrated Oil & Gas Limited and the project officer of the refinery project, disclosed this after an environmental screening meeting with the Environment Unit of the Department of Petroleum Resources (DPR). With them at the meeting also was the technical partners/engineering consultants and the environmental impact assessment consultants. 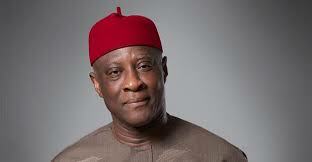 Ogunbanjo said all necessary steps were being taken to ensure that the refinery was delivered on schedule. He said the meeting with the environment unit of the DPR was part of the imperatives for the acquisition of the Environmental Impact Assessment Report (ESR) and other approvals. He said the meeting looked at the Front End Engineering designs of the refinery where the Crude Distillation Unit (CDU) was explained and analysed and all concerns with how the various units would interface with the environment was explained to the DPR. He said after all the loose ends and every environmental concern had been addressed, the company would get the EIA report. He explained that the next stage would be the presentation of the Detailed Engineering design for final screening and approval after which the company would apply for the approval to construct from the DPR. Ogunbanjo is driving Eko Petrochem & Refining, the special purpose company that is handling the Greenfield refinery project for Integrated Oil & Gas. He said the company was making all efforts in its determination to enhancing the refining capacity of Nigeria and save the citizens the agony of perennial fuel scarcity and unnecessary depletion of the foreign reserves. Mr Adeniyi Balogun, Environment Manager, DPR expressed satisfaction with the progress of work on the refinery project. He said the approval to begin physical work on the project would be given by the DPR as soon as the company and its consultants addressed some issues raised by the DPR team to the workshop and satisfies other requirements as demanded by the nation’s environmental laws. He said the Federal Government was desirous of having private refineries take off in order to end the problem of fuel importation and its associated depletion of the nation’s scarce foreign exchange. He said to that end, the FG had therefore told all the approving and regulatory authorities to ensure that unnecessary impediments are removed for the private refineries to be established. Integrated Oil & Gas is frontline independent downstream oil and Gas Company in Nigeria involved in the importation, storage and distribution of clean petroleum products. The company presently operates two tank farms in Apapa Lagos, with a combined capacity of 85 million cubic litres and is currently developing new state-of-the-art tank farm facilities in Kano and Calabar.